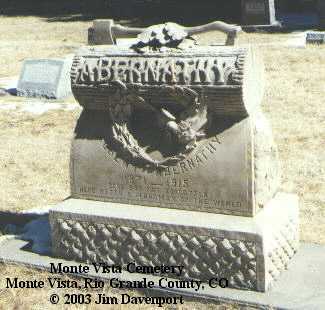 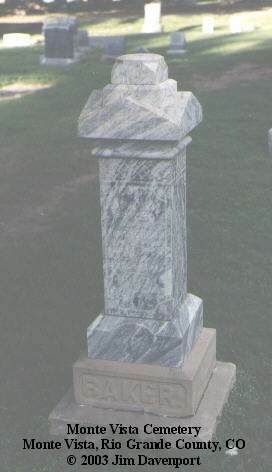 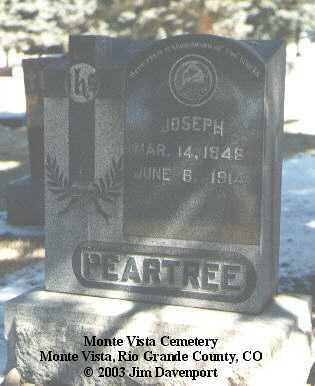 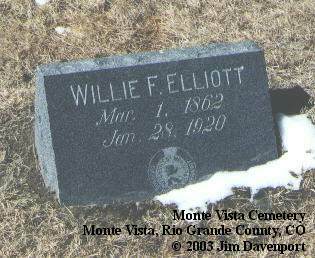 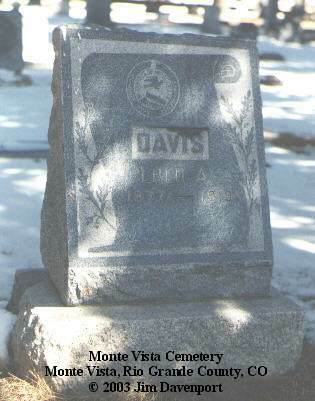 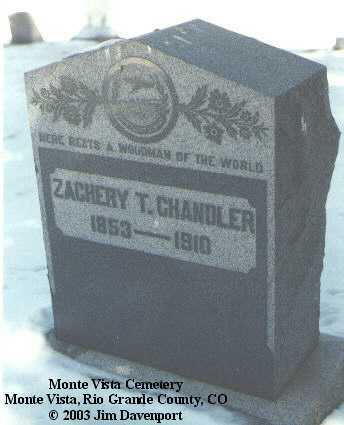 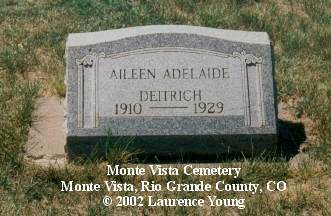 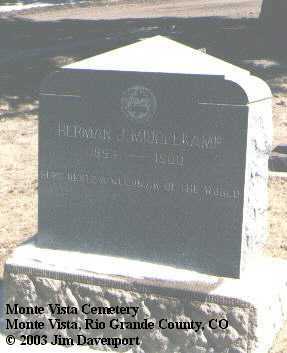 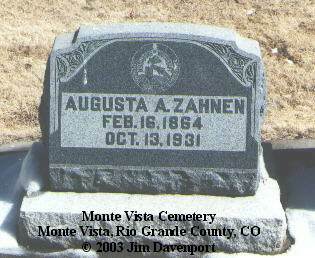 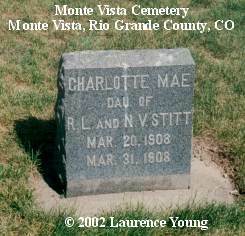 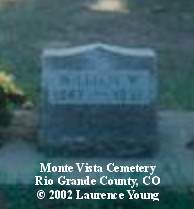 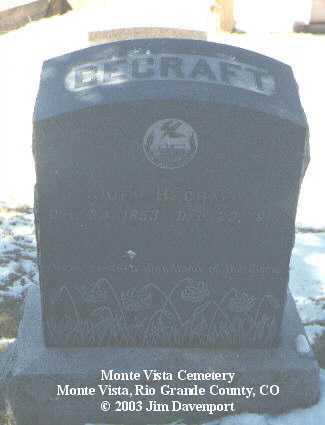 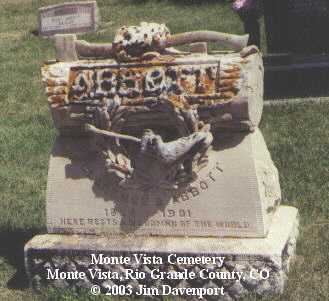 Monte Vista Cemetery was established, according to the sign, in 1890; while some sources place the date at 1898. 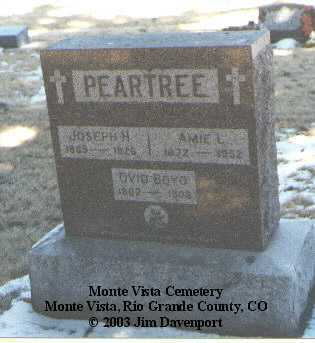 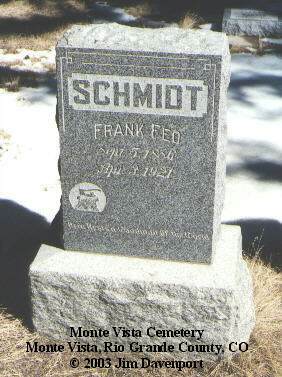 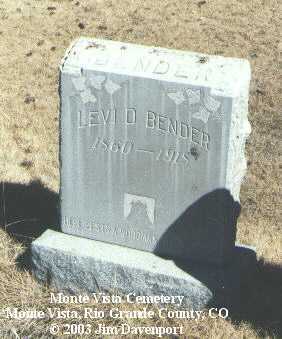 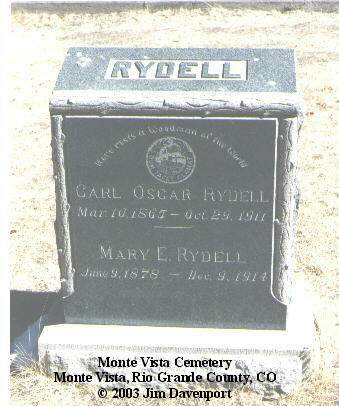 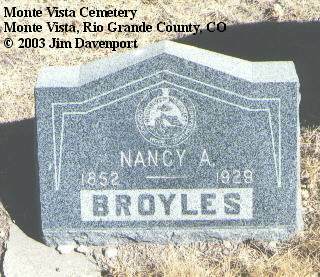 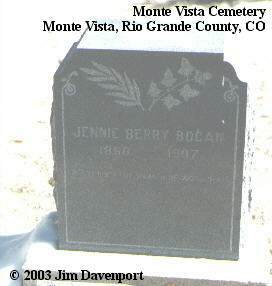 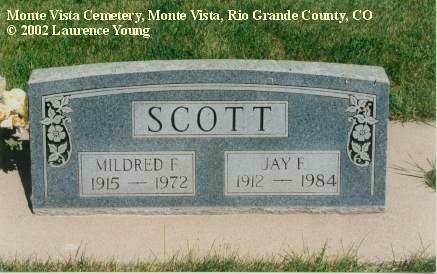 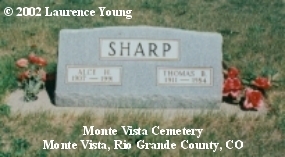 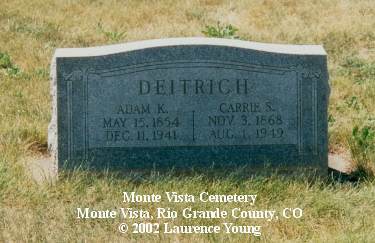 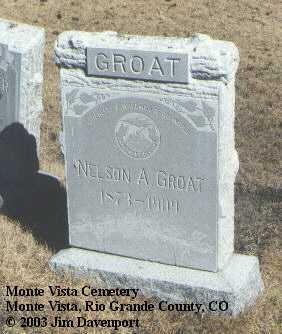 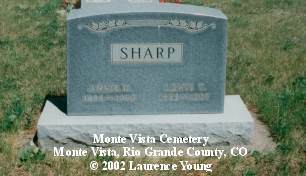 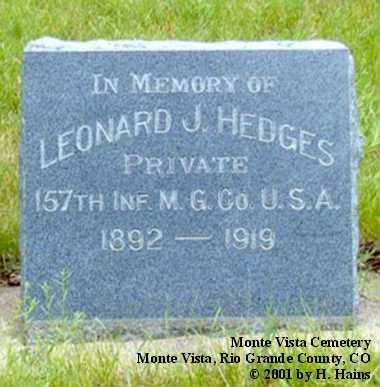 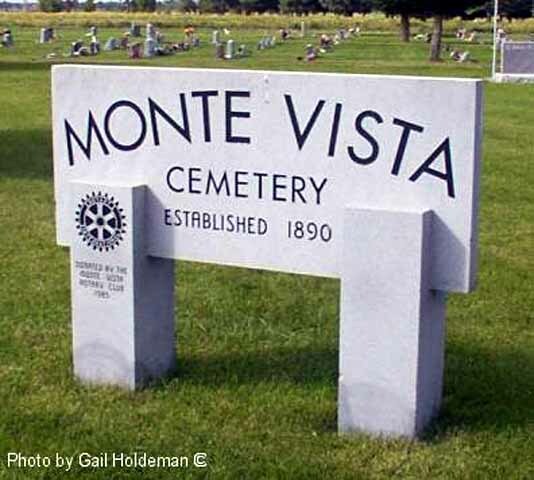 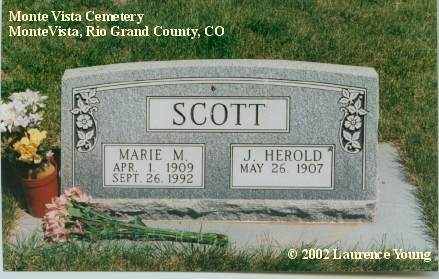 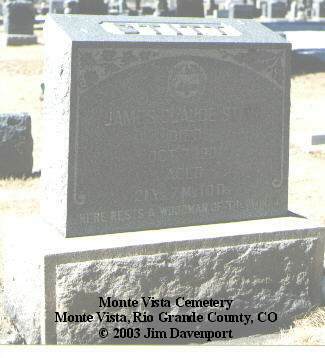 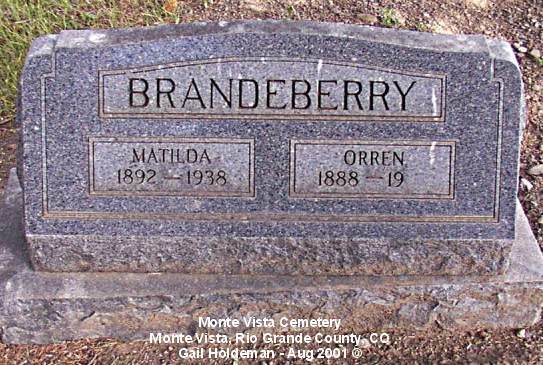 It is an active cemetery and can contacted by writing or calling the Monte Vista Cemetery Association, 731 1st Avenue, Monte Vista, CO 81144; phone (719) 852-5196. 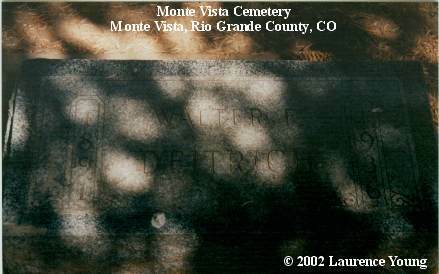 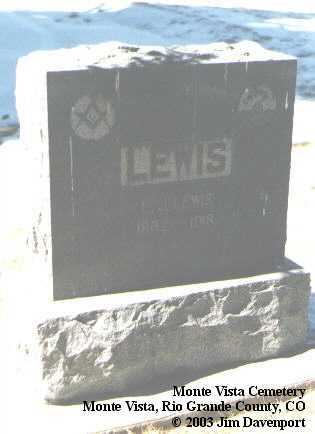 Orren is not buried here. 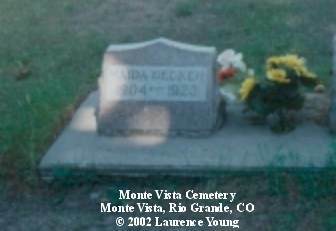 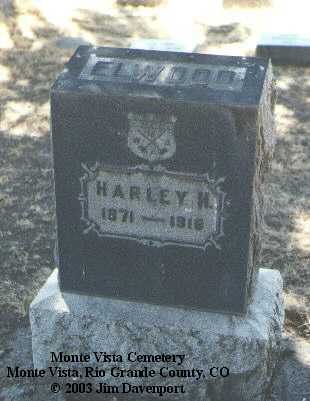 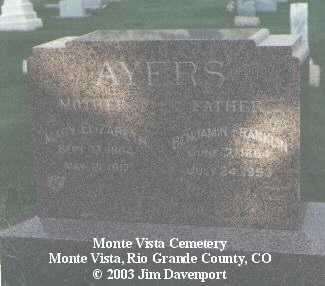 DECKER, Maida Wyland MVJ 12/28/1923; Died at home of parents on Dec 24. 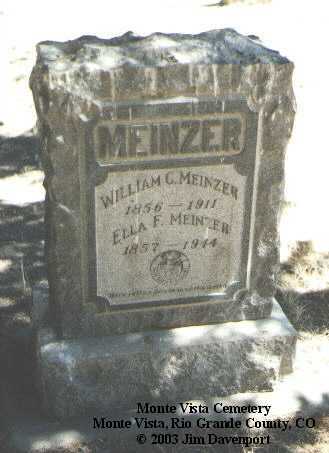 Uremic poisoning. 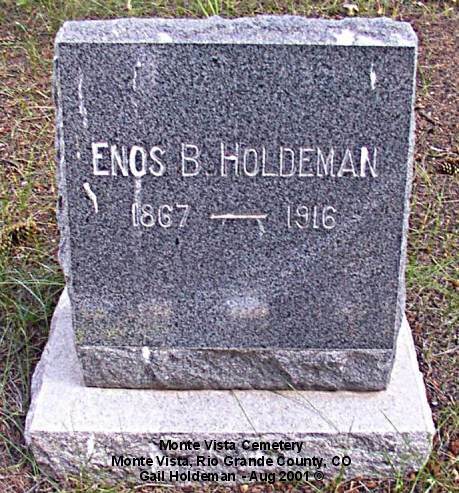 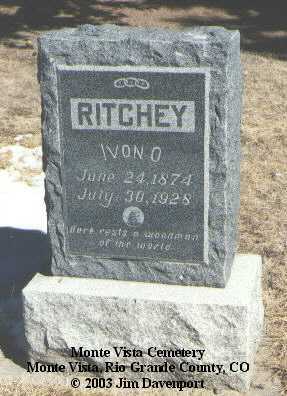 Born near Del Norte on June 3, 1904. 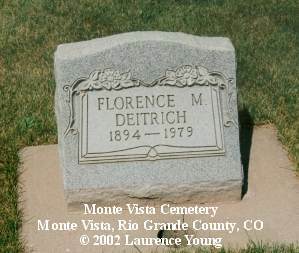 Married Cecil Decker in 1923. 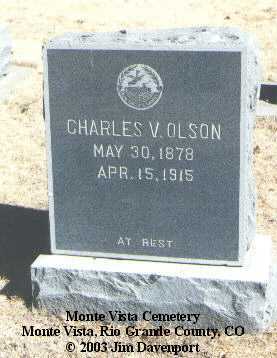 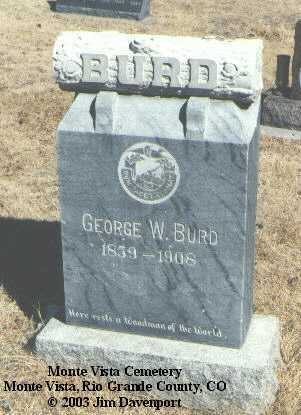 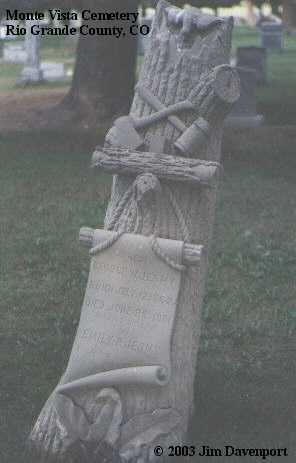 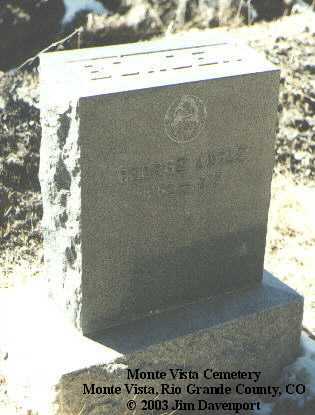 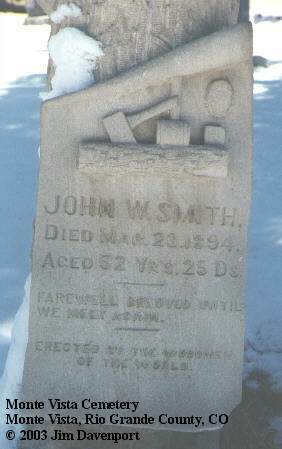 Buried in MV Cemetery. 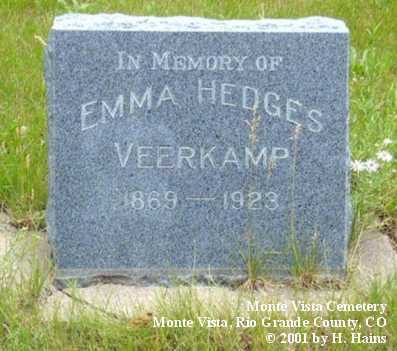 Married 1st Sam Hedges; married 2nd James P. Veerkamp. 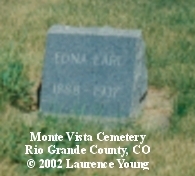 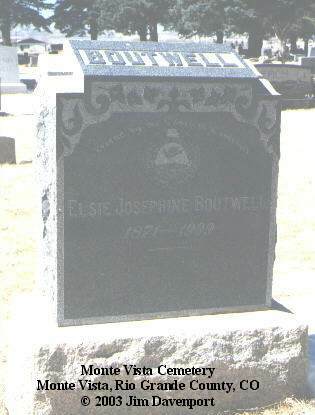 Emma died Oct. 21, 1923, was buried on October 25, 1923, Block 1, Lot 207, NW quarter. 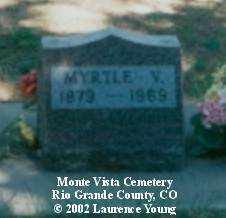 WYLAND, Myrtle V. MVJ 7/31/1969; Died on July 24. 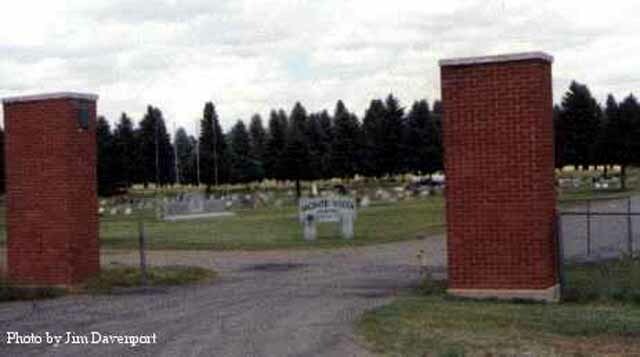 Services at Methodist church. 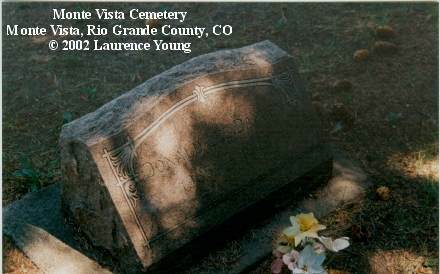 Buried in MV Cemetery. 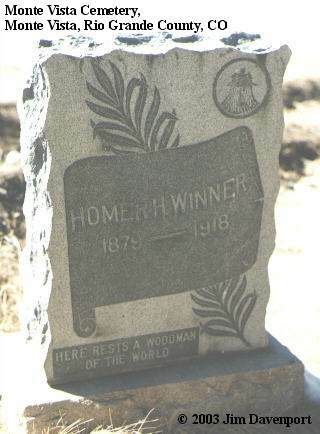 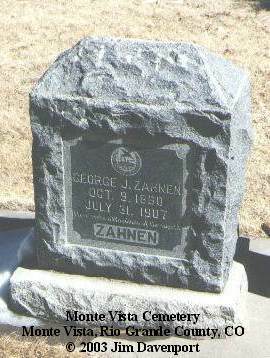 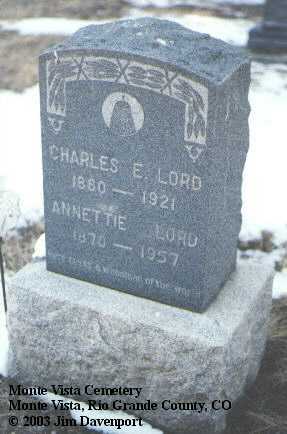 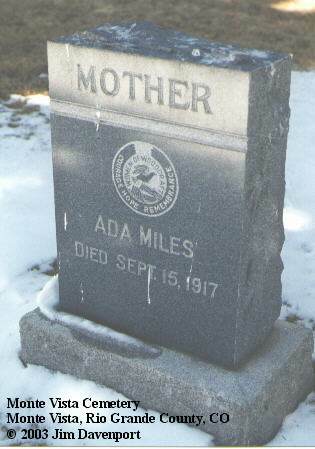 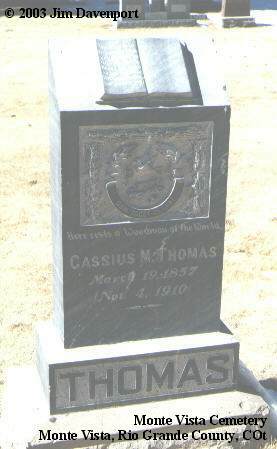 Born on Feb 7, 1879 in Brown Co., IL. 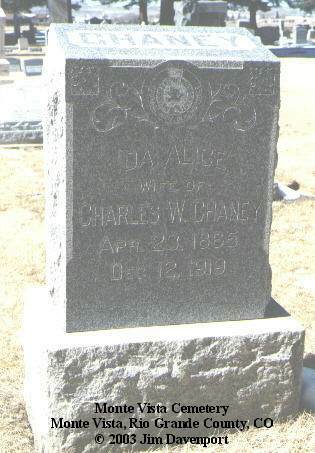 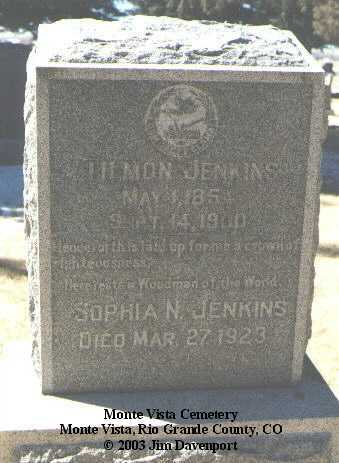 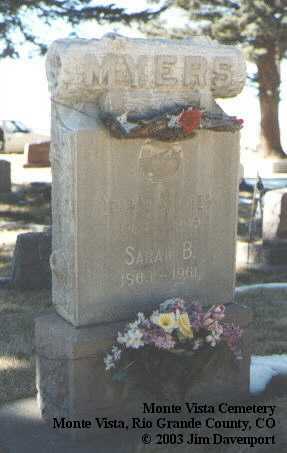 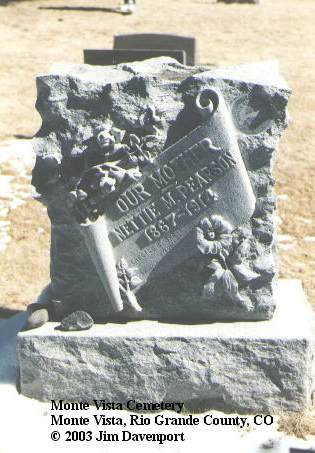 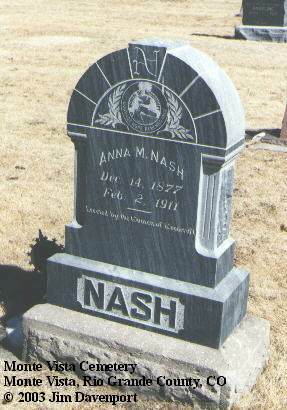 Daughter of Joseph and Nancy Clark Stephens. 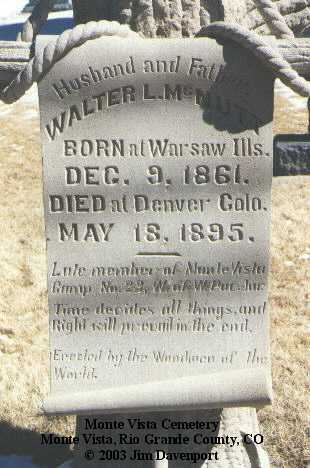 Came to CO in 1892. 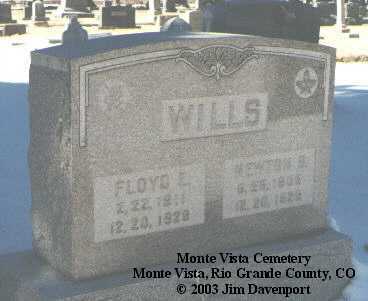 Husband, William W. Wyland, died in 1937.